“Sanju” … Ranbir Kapoor is extraordinary in an otherwise hollow hagiography! 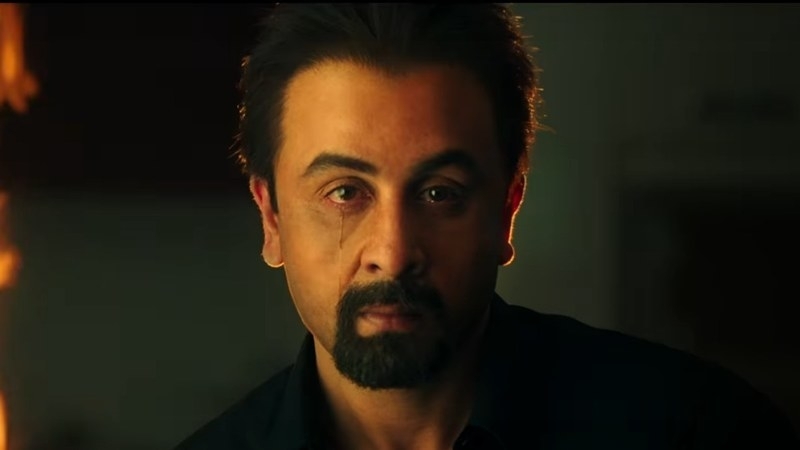 Tusshar Sasi	 June 29, 2018	 1 Comment on “Sanju” … Ranbir Kapoor is extraordinary in an otherwise hollow hagiography! Like several of Hindi language biopics, Sanju begins with a preposterous disclaimer. It comfortably washes its hands off the biopic label and claims how it is merely ‘based on’ certain events in its subject’s life. It is as if the makers were ignorant of the fact that Sanjay Dutt’s life has been through severe media scrutiny and each one of us and our dogs have assigned him a character certificate each. Therefore, when a filmmaker as respected as Rajkumar Hirani decides to ‘expose’ his story on the big screen, we expect watertight handling and a bunch of serious revelations plus a little honesty, if that was not too much to ask for. Instead, the film turns out to be a cinematic version of what Dutt has unsuccessfully been saying in several of his interviews. The primary agenda here is to restate the phrase, “My name is Sanjay Dutt and I am not a terrorist.” Rajkumar Hirani and Abhijat Joshi attempt to paint the man’s life with a blatant all-white shade, thus, is severely problematic. Minutes into the film, we are introduced to the tonality that Sanju intends to maintain. There is a renowned biographer from London (Anushka Sharma, sporting bizarre blue lenses and a weirder hairdo) who is nearly harassed by Sanjay and his wife Maanyata (Dia Mirza) to pen a book on his life. Soon the news breaks out and we see a mysterious builder (Jim Sarbh, with yet another fake accent) who claims to spill some massive beans about him. These are characters straight out of Hindi film yore, some of whom have already appeared in Hirani’s erstwhile films. For starters, Sharma’s Winnie Diaz is an extended version of her own clueless, gullible self in PK. After a rather shaky context setting process, Sanju takes off when Sanjay (Ranbir Kapoor) begins to narrate his story, which takes us back to the ‘80s. This is a very rich prototype of the decade that lands us on the sets of Rocky and plush Bombay bars. We also get a trademark Hirani risqué comedy sequence involving Sanju and his girlfriend’s family. The film continues on a light vein until the death of Sanju’s mother, which is followed by his attempts to get out of drug addiction. Running in flashbacks, Sanju eventually transitions to another controversial phase in its protagonist’s life – the TADA case. The primary issue in the way Hirani and Joshi construct Sanju is that it, strangely, is not apologetic about its hagiography-like tenor. As the narrative unfolds, we hear Sanjay Dutt screaming to our faces that he is a good man. We see how he seeks closures – from a section of society and media that still see him through the lens of suspicion. In the bargain, the makers end up whitewashing his persona in the most laughable fashion. Well, if Sanju had taken to drugs, the film thrusts it on a certain friend who is the poster boy of our parents’ idea of ‘buri sangat’. If Sanju were to sleep around with his friend’s girlfriend, the entire incident chooses to go the comical route. The film completely ignores his romantic relationships barring a fleeting affair in the first half that gets over in a matter of minutes. For the rest, we see a close-knit family of three and a close friend who is dealing with a spate of allegations, all of which have been propelled by media speculation. There are vicious newspaper editors, double-faced lawyers and scheming gangsters, each of whom are served simplistic lessons that exist only in Hirani’s make-believe universe. Coming to the pleasant bits, the screenplay is extremely fair to the relationship that Sanju shares with his father Sunil Dutt (Paresh Rawal). It is remarkable how their status quo evolves over the years with recurrent filmy moments including a speech that the son prepares for his father but never gets to read it out for him. Devoid of too much pretence, this angle remains the most finely etched one in Sanju. The friendship that Sanju shares with Kamlesh (Vicky Kaushal, excellent in parts) takes a lot of screen time but subsequently drowns in a pool of clichés. What is with Hirani and his obsession for decade-long misunderstandings that could have been solved in a single phone call? If at all he wanted to elicit massive dramatic impact while constructing these twists, then I am sure the formula is not working anymore. With its runtime close to three hours, Sanju does feel stretched. Be it with the horrifying prison portions or the uncomfortable back-and-forth from past to present, the film spotlights only those portions that its subject wants to tell us. There are ghastly accounts of instances where the otherwise flamboyant actor was wronged, tortured and misinterpreted. What the film gives a miss is a perspective on his rising stardom, extravagant lifestyle, interpersonal relationships except with a few – that too comfortably fictionalized. In the titular role, Ranbir Kapoor gets the gait and attitude of Sanjay Dutt just right without too much of a mimicry-like air. However, the actor is more at ease in the heavy-duty emotional moments which reinstate why Kapoor is easily the best amongst Hindi cinema’s newer lot. In a special appearance, Manisha Koirala gets one knockout scene and a key song proving her immense mettle yet again. Sonam Kapoor impresses in a brief role. Her outburst and the subsequent culmination of her liaison with Sanju is largely effective. Paresh Rawal is extremely well-cast as Dutt Senior and as mentioned earlier, the father-son equation is extremely nuanced and will be savoured with great fondness by one and all. Perplexingly enough, Hirani chooses to close his film with a dance number where Sanjay Dutt appears alongside Ranbir Kapoor. There are newspaper clippings pasted all over as the men dance with an inexplicable sense of defiance and contentment. Couple it with the title that they come up for the actor’s fictitious biography in the film, we tend to question the intent behind making the film in the first place. In short, if we describe the film in terms of Twitter, Sanjay Dutt didn’t post a single tweet. He simply retweeted everything on his timeline. How can he be a bad person? You have nailed the review! Perfect! Except that I found Manisha also extremely plastic and Sonam’s performance very unmoving! Next Post“Lootera”… An unfinished painting in motion! “Qarib Qarib Singlle”… A fun rom-com that pays no heed to gender equality! Personal Shopper – That’s a coup, Kristen Stewart! 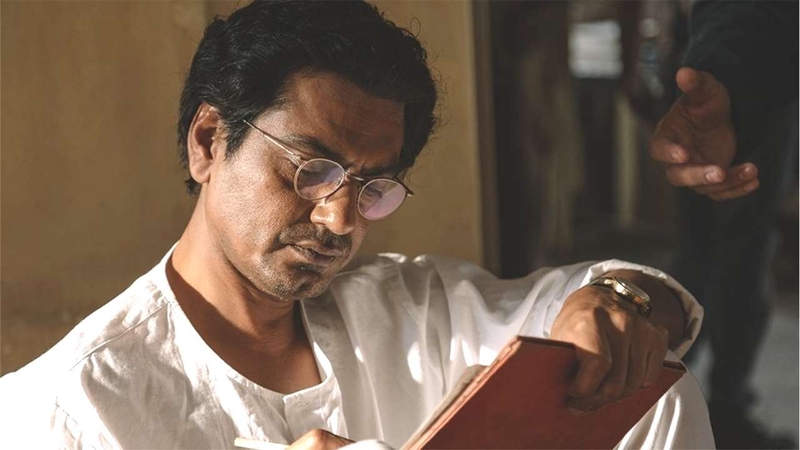 “Manto”… Recording the life and times of a liberal icon! “Soorma”… Inspiring story, uninspired making!